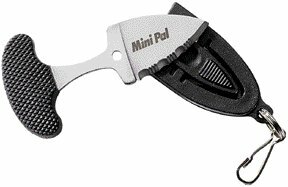 Cold Steel Mini Pal. 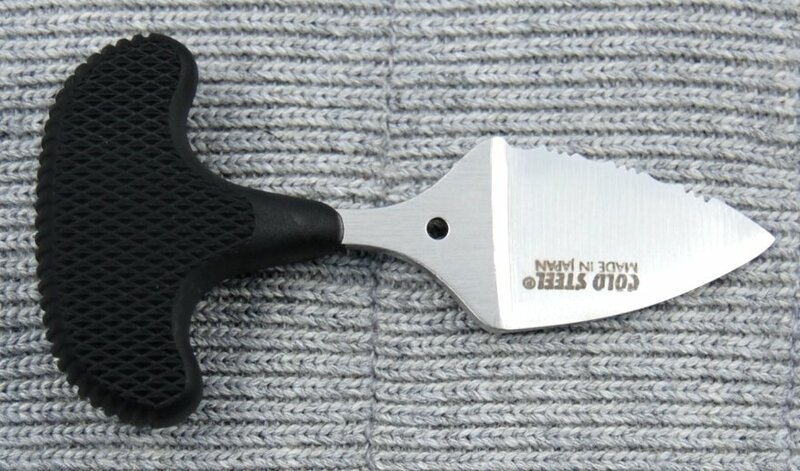 2 3/4" overall T handle push knife. 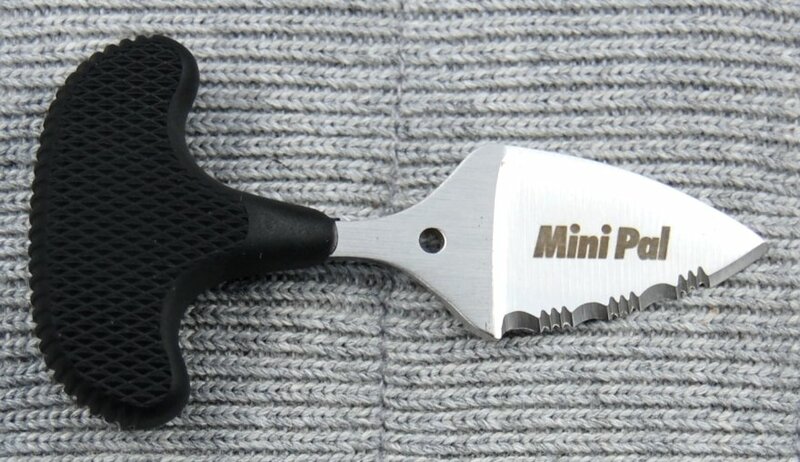 1" 400 series stainless serrated blade. 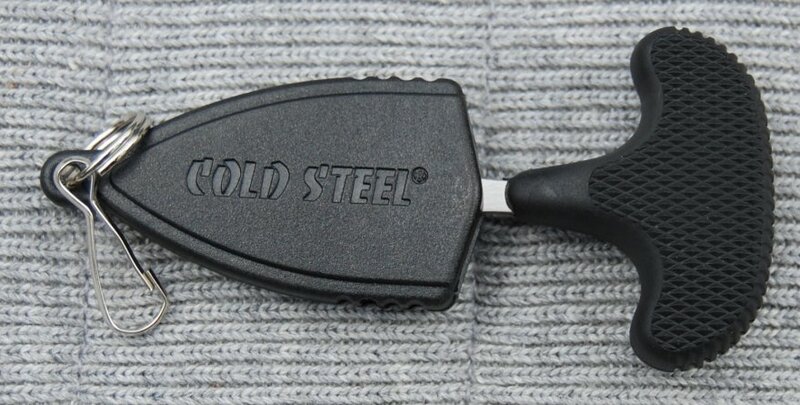 Black Kraton® handle. 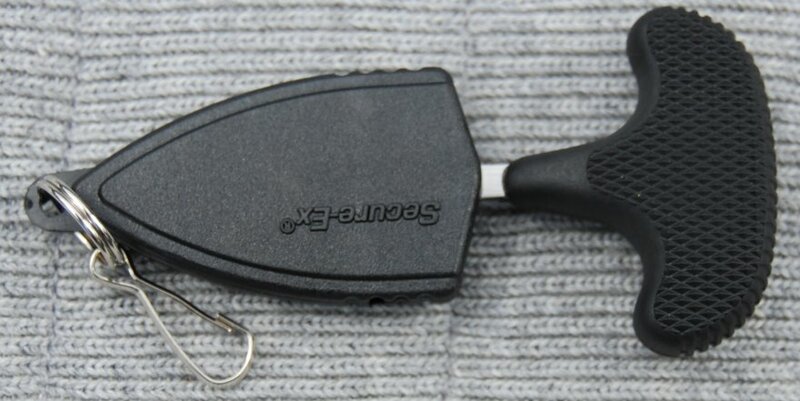 Black molded quick release sheath with shackle snap.